Everyone knows what the brain looks like, as a whole. Far fewer people would recognize different parts of the brain in isolation. I would like to do my part to change that. I believe that the more you know about something, the more you are likely to care about it. 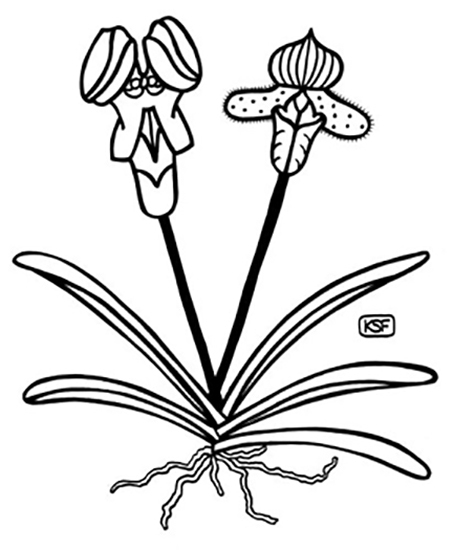 Here are ten original drawings to get you interested. I also touch on the spine and the tools of the trade. This collection is certainly not comprehensive in any way. 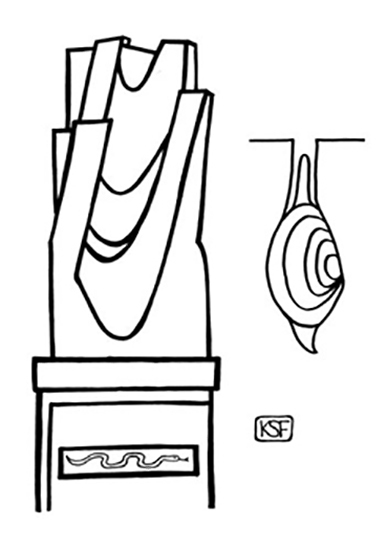 Instead, the drawings focus on what I find to be of most visual or artistic interest. 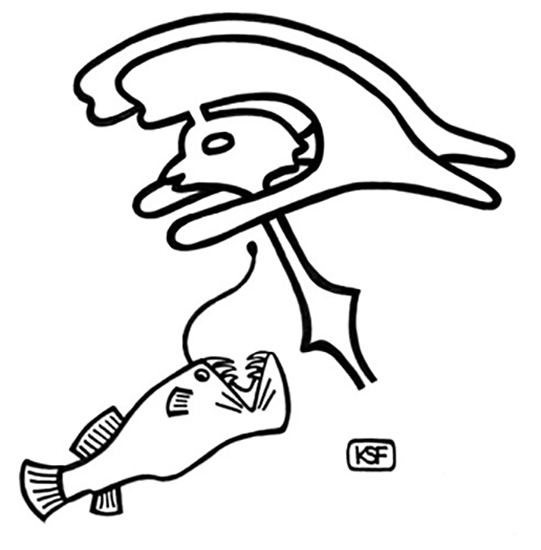 I have paired each neurosurgery-inspired item with something from the natural world, either for good reason, or simply for fun. 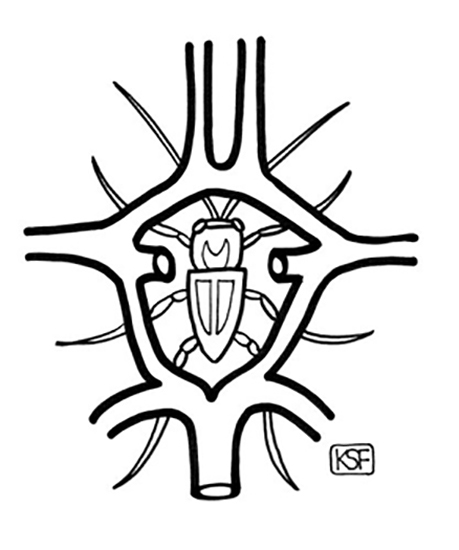 The Circle of Willis (and insect). 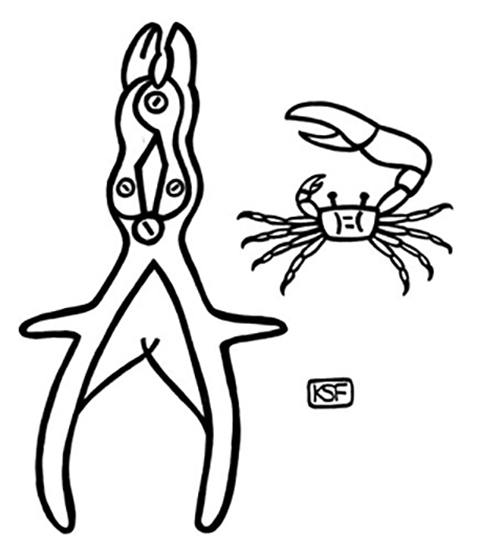 A Leksell rongeur (and crab). 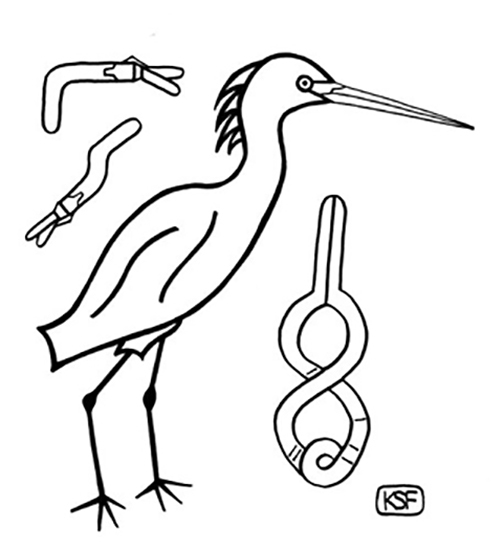 An assortment of aneurysm clips (and egret). 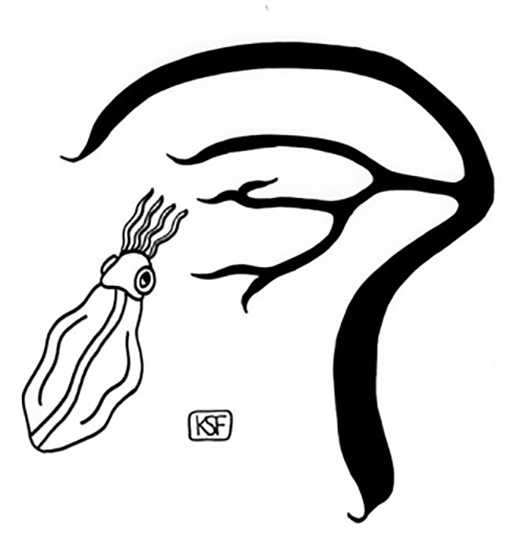 The venous sinuses (and squid). A perforator drill bit (and clam in the sand). 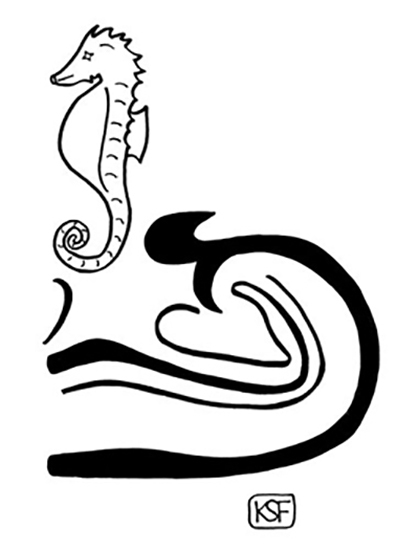 The ventricles of the brain (and deep sea angler). 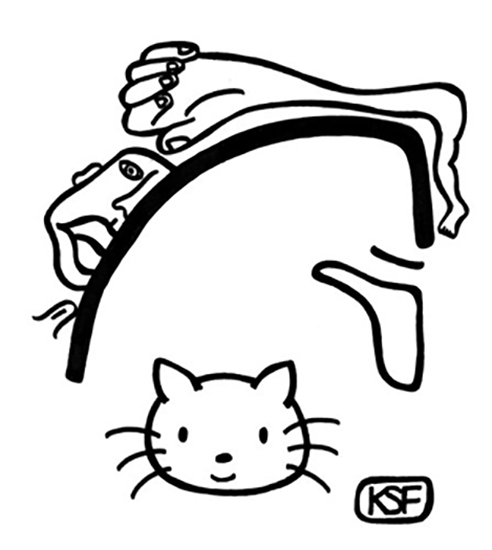 The homunculus (and “Hello Kitty” look alike). 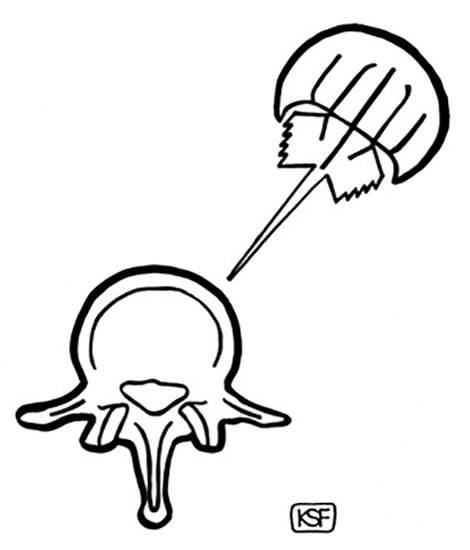 A lumbar vertebral body (and horseshoe crab).